Happy New Years Eve, everybody! This is, by far, my favorite time of year.New Years has often taken a backseat to Chirstmas and Halloween as Favorite Holiday for many people, but consider me a big fan of this time of year...or shall I say, the end of it. New Years is a great time in my opinion because it doesn't carry as much religious baggage as Christmas, and you can make of it whatever you see fit. You can use it as a chance to reflect on the year behind you and plan for the year ahead. You can partake in various traditions to bring luck within the next year. You can get completely wasted. Either way, New Years can be whatever you make of it...it doesn't even have to be in January! 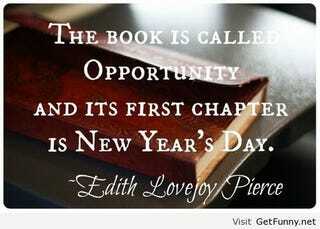 What I love about New Years Eve and New Years Day is that there is so much potential ahead of you. You can start fresh and already have your year planned out, but nonetheless you find yourself heading into unknown territory no matter how much you plan.Nobody knows where they will be in the next year, or the years to come, but it is so fun to do whatever you can to celebrate another year alive and a fresh one to come. On New Years Eve and New Years Day, I take on a few traditions to celebrate the passing of the year. I clean my space(room, desk, closet, bag, whatever I can get clean in time), drink at midnight, and the next day I pay close attention to my activities during the day. I figure that whatever happens on the first day of the year would have some significance to how the rest of the year will be spent.One thing I pay attention to most of all is the first song that I hear on shuffle. I have an extremely huge music library, all with various songs of various styles. Each song holds some kind of significance to me, and I like to reflect on what the significance that song will have during the year. Last year, I just started my itunes library on shuffle and didn't pay attention to the first song that played. I hope not to make that mistake again. I really need something to guide me for the year to come. I am about to make various Big Choices and deal with even bigger changes. I need to be ready, or at least have an idea of how to approach these changes and choices. I am scared for this year, so I'm turning to things as small as the shuffle feature in my music library.It seems like a poor (wo)man's superstition, but it gives me comfort, so I'm going with it. What are your plans for the year to come and the day ahead?Do you have any special traditions that you take place in? Anyway, if I don't get a chance to write it to everyone: Happy New Year!